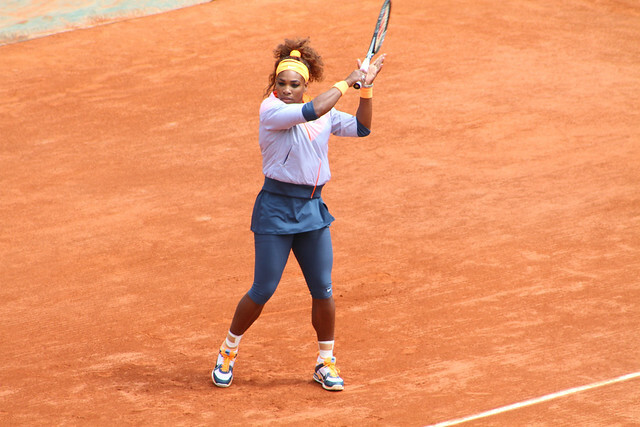 Enjoy some pics of Serena Williams during her first round match against Anna Tatishivili. If you use some pics please link back to Tennis Buzz. 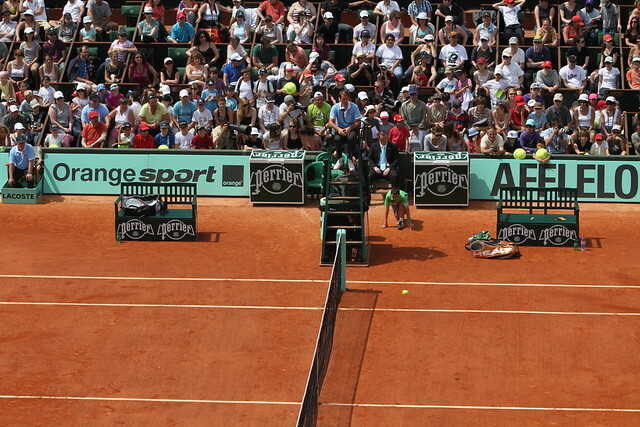 As I’ve already told you, I’ll spend most of the week at Roland Garros. I’m pretty excited to finally watch some live tennis, as my last tournament was Bercy last November. 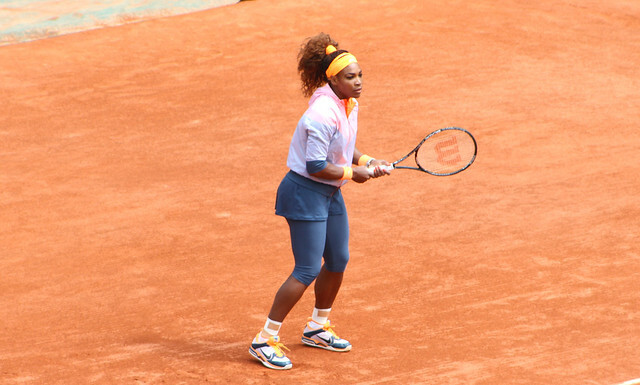 Which French player has the best chance to win RG 2013? 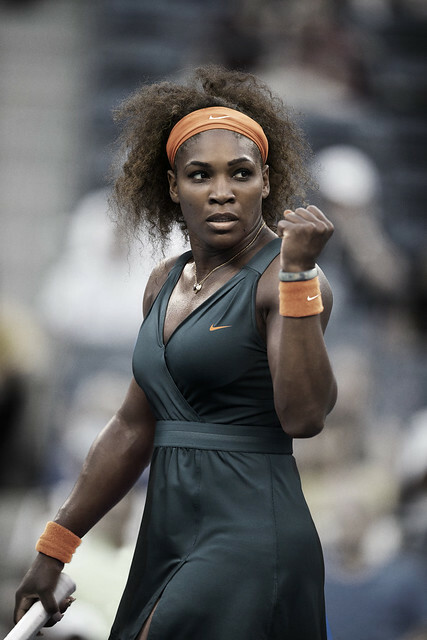 Serena Williams will take to the court in a sleek Nike Wrap Knit Dress. 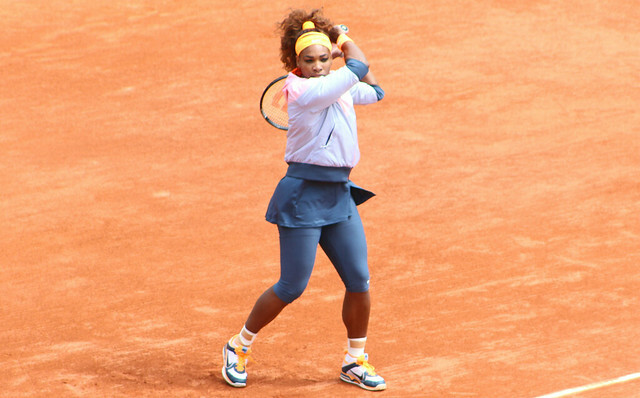 Roland Garros 2013: one month to go! 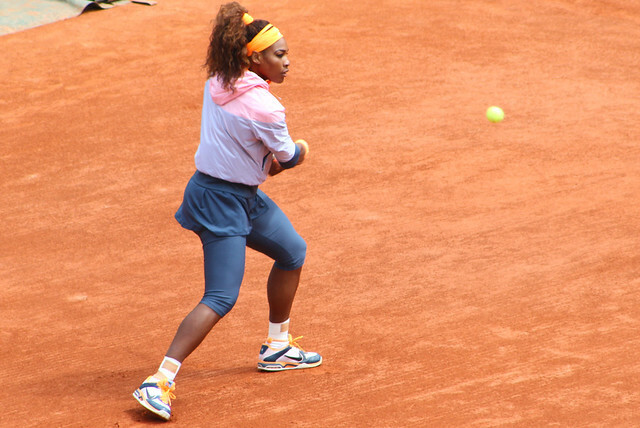 The european clay court season has just begun this week but Roland Garros is already around the corner: the qualifications start in exactly one month. I’ll be onsite the first week, covering the tournament for Tennis Buzz but also guest posting for Grand Slam Gal. Crossing my fingers for good weather! Finalists at Monte Carlo, Rafael Nadal and Novak Djokovic will be once again the two big favorites at Roland Garros: Rafa will look to secure a 8th French Open and Novak will try to complete a career Grand Slam. This 2013 edition will also mark the 30th anniversary of Yannick Noah victory. Since 1983 only one French player reached the men’s singles final: Henri Leconte in 1988.